Check out this stunning dining room at Horchow. 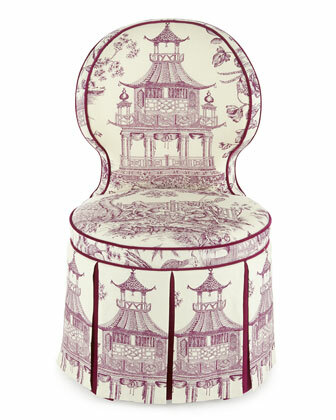 Of course, the show stopper for me are the Chinoiserie chairs. At $1300 a chair, they are not in the budget for most. 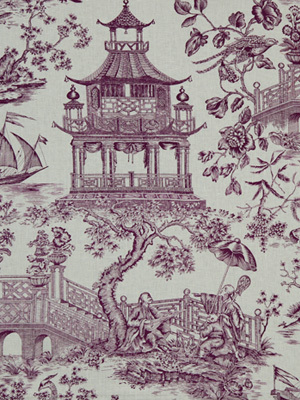 Chinoiserie Chic to the rescue. 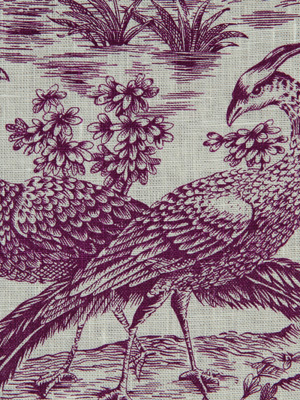 The fabric is Robert Allen's Full Sails in Violet. It is available here at $45.82 a yard. Let me know if you find it for less. It's available in several yummy colorways if purple isn't your thing. It's 100% linen and gorgeous in person. Do you have this pattern in wallpaper? 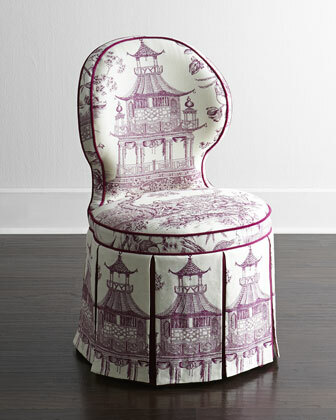 Love the skirt on the base of the chair! Devine perfection!!! Photos 3 and 13 show the fabulous blue and white toile wallpaper on ebay that got away from you - would love to know manufacturer & style info.